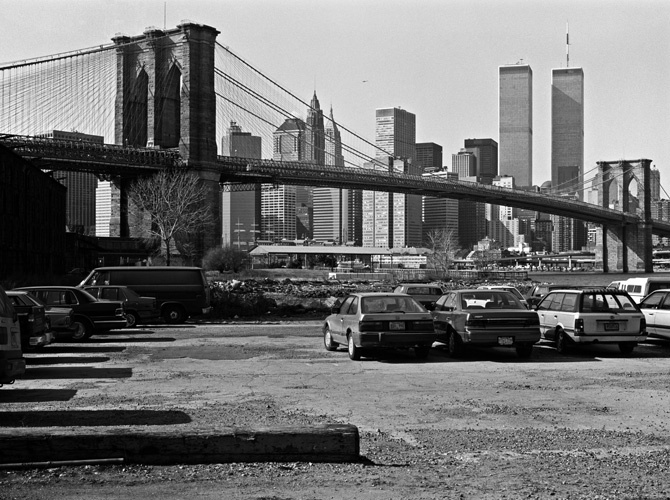 “NY 10048: The World Trade Center in Early 1990s“, featuring subtle black-and-white images by Hong Kong photographer Gretchen So, opens on Sept 2nd at the Foreign Correspondents’ Club and the Fringe Club in Hong Kong. As a stunning tribute to the American Dream, the World Trade Center complex in New York was a popular photography subject. And just when one would think the world has seen the Twin Towers from every possible angle, the black and white images of Gretchen So re-discover them for the audience, yet again, as a powerful reminder of the artistic merit of these glass-and-aluminum-alloy pillars of modern times. Gretchen So’s photographs of the towers were taken approximately 20 years ago, and they validate the notion that the Twin Towers are never-to-be-forgotten. “It is my hope that this exhibition will guide the viewer to go past the monumental historic prominence of the buildings, and discover their remarkable impact as quiet witnesses of our daily life at the time,” says So. The photographs reveal the artist’s fascination with the monolithic symbolism of the buildings. Most images feature the towers from remote locations in New Jersey, Queens and Brooklyn, and how the farther she went from them, the more ubiquitous their presence appeared in the skyline. She portrays the buildings not so much as an engineering marvel, but rather as an omnipresent witnesses of modern life in cosmopolitan New York in early 90s, when the Twin Towers were reigning as the symbol of opportunity and success. The Foreign Correspondents’ Club, Hong Kong, one of the world’s finest social clubs, is an important media hub, providing a rare neutral platform for an impressive selection of local and international speakers. For more information about the Foreign Correspondents’ Club, please call (852) 2521 1511 or visit www.fcchk.org. The Fringe Club nurtures local emerging artists by presenting their work and providing them with a supportive and open environment. It engages in cultural heritage work, community outreach, and regularly collaborates with overseas arts organizations to showcase and promote Hong Kong and its artists. For more information about the Fringe Club, please call (852) 2521 7251 or visit www.hkfringe.com.hk.